React: Two roads diverged for the Israelites upon leaving Egypt. One road was short. It looked easy and well traveled. Even with all their animals, children, and cargo, the entire Hebrew community could have easily made that journey in a couple weeks time, tops. Instead they took the long road. When that road led them to the place where they were stuck between the Red Sea and Pharaoh’s army, it looked like they made a mistake. When that road led them out into a desert it looked again like they had made a mistake. When they were still traveling that road forty years later it looked like they had definitely taken the wrong road. What would have happened if they took the short road? Scripture says they went out armed for battle, but also that they were not ready for the fight such a shortcut would have led them to. They needed to experience the Red Sea crossing. They needed a Mount Sinai experience. They had left the Egypt but Egypt (the world) had not yet left them. To do so, Israel needed the long road. Sometimes I am so focused on my destination that I do not notice all the things I am learning along the journey. I want the short road. I just want to get there like… yesterday. But what great, God moments would I miss if I take that shortcut? Is there a Red Sea crossing along this road I am experiencing? Is there a mountaintop experience ahead I would never find on the shortcut? 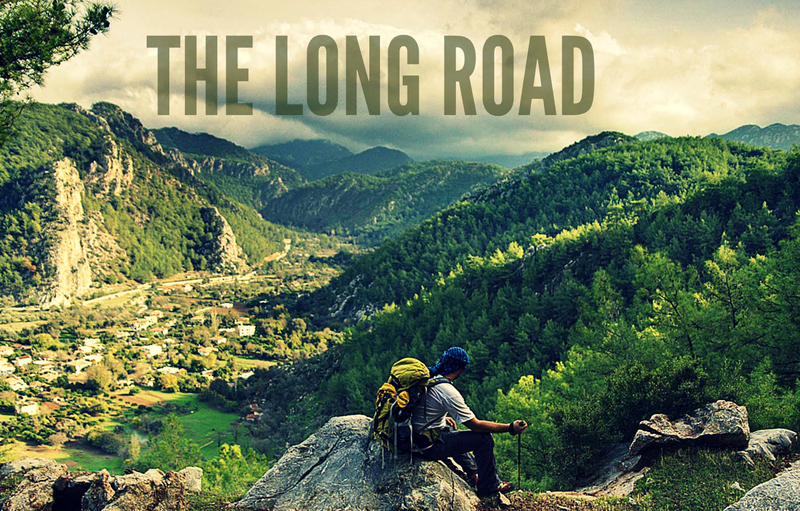 Although I might not always like it, I am on the long road… and that will make all the difference. I want to be on the road You lead me down. I want to follow where You are going. That road may not be easy. It may not be comfortable, or short, or well traveled by others. that is OK. As long as You are with me on that road, that is all that matters. Give me the courage to diverge from the road all others seem to travel. Give me the faith to climb higher where the air is rare. Give me the the wisdom to understand that the going is just as important as the arriving. Love your insight. What if we missed our Red Sea crossing? Just trust the Lord. Seems easy, but requires so much prayer. Truly piercing post that prompts looking deep within my own heart when the road gets difficult. Your post, along with Psalm 26, spoke volumes. I shared it with our single moms. Praying it’ll speak to them too. Thanks for allowing the Lord to use your words to convict, soothe, provide, comfort. Amen! Love this. Thanks for sharing. We in the North America church seem to have subtly fallen prey to the purvasive ‘instant gratification’ ideaolagy of our culture, and allowed it to influance our idea of the effectiveness of our ministries. We (and by ‘we’ I mean ‘I’) at times falsely assume that instant success is proof God we are walking as God desires.and if we have to wait, he must have not meant us to walk that path. Yet biblically speaking while God may work in an instant, there is usually a lot of waiting. Thanks again.